Miles Teller and his girlfriend, model Keleigh Sperry, have been dating for four years. They live together, and Sperry’s Instagram is full of gorgeous modeling photos interspersed with cute couple moments. 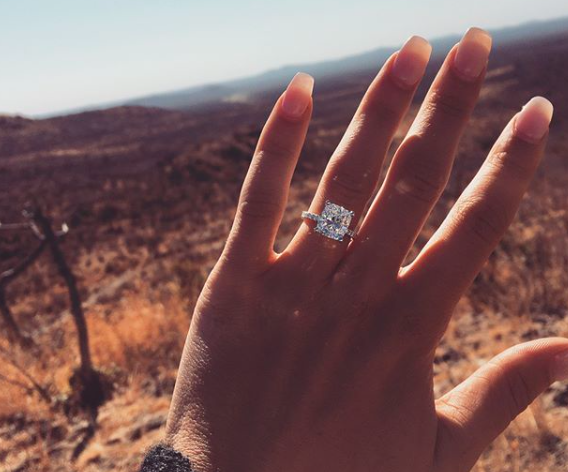 Over the weekend, they got engaged while on a safari in South Africa. At first, only Sperry’s excited sister announced the engagement. “These two got engaged while on an African Safari over the weekend!! Can’t believe the last Sperry girl is engaged! Love both of you guys to pieces and so incredibly happy for this new chapter in your love story! Now come home so we can celebrate,” wrote the bride-to-be’s sister. An hour ago, Sperry uploaded a series of photos from their engagement shoot, but we’re mostly just slack-jawed drooling over that ring. 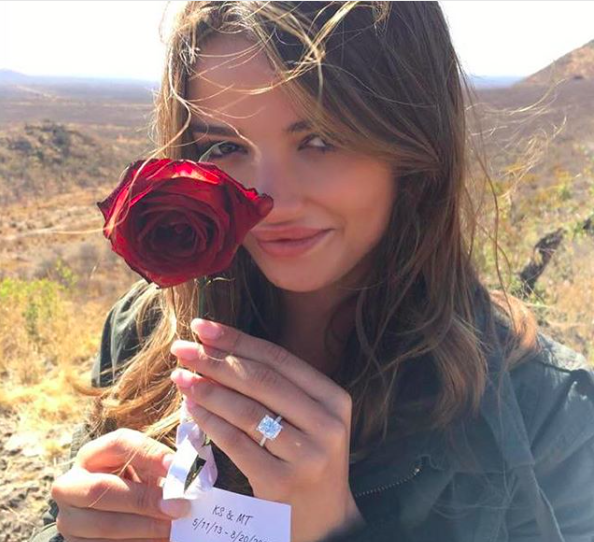 In the photo, Sperry holds a note that reads, “KS & MT 5/11/13 – 8/20/17.” The couple began dating May 2013, and based on Sperry’s Instagram presence, the relationship seems pretty swoon-worthy. Fun fact: Sperry is also friends with Taylor Swift. Teller told Elle in 2014 how the couple makes it work when his acting schedule sometimes makes their relationship long-distance. Soon they’ll be recapping their day as man and wife. Congrats!